That doesn’t mean don’t think about what you have to do. Not thinking means not over-thinking. It’s more really learning to listen, in a steady stream listening to that little voice of intuition that you’ve hopefully become acquainted with. We can’t impress upon you more how important it is to start listening to your intuition, because that energy really does put a whole bubble of energy around you. Then I laughed, because the fourth thing happened and I was stuck in rush hour traffic on Henry Ave. I really do look at being stuck in traffic as, “Okay, you need to just be there and sit in it until you can process what has happened.” You know what? The minute you let go of something that’s heavy on your mind and you hear it out loud, it frees you, and it lightens how you feel. It makes the next time you need to talk to someone and express your feeling (even if it’s not something they will love) easier, and you can do it. Say “I choose to stay in my peace.” Then, intention a clear globe around you and see yourself inside of this bubble. Try to visualize and keep yourself in that place all day long. Make a list of all the things you want to do each day. Let go of judgment. Forgive those that have wronged you and let it go. Ask for their healing. By asking for their healing, you let go of any emotions that you were connected to with them or things they brought into your life. You are able to disconnect. When you really start to use intention to bring things into your life and bring yourself peace, it’s instantaneous. You can start to feel in your body the difference of letting things go and feeling really light. A woman came to me today for a number of different things, and one of the things on her intake form was, she’s having a lot of sensitivity to light lately. I said to her: “What don’t you want to see?” Because of the season, we’re having more light. This is an absolute sign we are getting more information. The sun (as much as people like to think it gives us cancer and makes us sick, it doesn’t!!) the sun gives everything life. What I want her to be most aware of is, if she’s stopping the light… because the more you can separate from the chatter and allow information to come in, the more you’re going to be at a place where you’re vibrating at a higher level, and lower vibrational influences won’t grab you so much. Pretty soon, peace is the only place you’re going to be. The people or influences around you that aren’t as peaceful will start to not integrate in your life anymore. What does peace mean to you? When it comes down to it, figure out what it is that gives you peace. Ancient civilizations depended on the sun, moon, and stars and planet positions to survive. To plant, harvest, to take cover. Now somehow that became sorcery and witchery. No! It is what it is. Because they’re free tools and healthy tools, they’ve been hidden for so long. Make a deal with yourself, just for today, you’re going to practice peace. Think about where your most peaceful places are, write down what peace means to you. When a situation comes up, look to find the peace in the situation. Look at the peaceful possibilities that could come out of this. Change your perception so that you can see whatever upheaval is happening, it’s happening because a clearing needs to take place before you’re clear sailing. Where do you want to be in a month? What changes need to be implemented in your life to find that? What’s stopping you from thinking about these things? Is there a situation you’re not speaking up about? Are you letting people influence you to not really carry out what’s important to you? Take a leap, wing it. We wing it all the time! That’s the excitement of it, the mystery of it, the fun of it. Let it flow! Plan out what you want, the way you want it and the timing you want it. Look at steps you can start taking. Start speaking your peace and living as authentically as you can. Going with the flow and taking that leap of faith is huge. As long as you keep peace in that inner alignment, things just flow, they really do! Welcome! Today we’re talking about being assertive, and I think being assertive has a lot to do with what you’re thinking in your head you’re going to say, and how you’re going to say it. How do you speak to yourself when you want to do or change something you want to do? Is it self-talk or self-sabotage? Are you egging yourself on, or are you putting up blocks for a new opportunity or something you need to speak to someone? What if I say this and they get mad? Stop all of the excuses. If you need to change something, and you’re still struggling, you need to figure out how you’re talking to yourself, because we are in a time where our inner power is at a different level. We’ve come to a place where we’ve let a lot of things go, we’ve learned how to handle outer situations and not let them affect us as much. We’ve started to take more responsibility for things in our life. Our inner energy and power is growing. It’s a good time to be assertive! And we have a little more clarity in our thoughts and executing the information to other people, so it’s a new self-strength we have to get used to. I think that we’re feeling so much lighter because of all the work we’ve been doing on ourselves to go within, speak our truth, not let other people have an influence on what we do (or say). Shedding all of this brings us to a whole new frequency, and I think it actually makes us more assertive because we have fewer things holding us back. We’re much more truthful about our feelings. Assertive doesn’t have to be a mean thing. Assertive is just saying your feelings and not allowing anything else to interfere with what you’re going to say. We talked before about your authentic self. I’ve found it takes a minute to stop and think, “Who am I in this moment?” If you’re not asserting what you want, you’re giving up your freedom. Then you’re going to build up resentments in your heart that will stop things from flowing. And the bottom line is, those are your thoughts making that happen, not the other person. It’s a huge effort to finally take the blame off the other person. By now, you’ve let go of old hurts and let go of old angers, and you’re a much lighter being than you were. We’ve started to learn to use this inner knowing, so now you’re at a place where you have to assert what you’ve gathered from doing all this self-help work. It’s like being on a pendulum, where we have done the things that other people wanted us to do for so long, that you get caught up in it. You have to take it back the other way and really figure out what it is you want. How do you speak to yourself about your worthiness, to be able to receive those things, to be able to center yourself again and know, this is the way I want my life to go? In being assertive, you need to fine tune and be aware of exactly where your feelings are coming from, and where those words are coming from. A little twist on this: I had a conversation with somebody today about how flower essences have the vibrational healing ability to neutralize emotions in past, present, and future. He looked at me. I said, think about this: Where do a lot of your emotions come from? You can’t even pinpoint it. You are a lineage of genetics from millions of years ago. So all of the things that happened to our ancestors at some level of cellular memory happened to us. So a lot of times, the way we face something or think of something, it is actually that old thinking. We don’t know where it came from, but we really do know. So we’re not just carrying our stuff, we are carrying millions of years of stuff. You also have to claim your own responsibility. If you are letting things happen to you, then stop being a victim. Assert yourself, say what you need to say, and move on. And there’s never a reason to feel like somebody should get angry with you because you asserted yourself. Stop looking at assertiveness as egotistical. I know in consults if I didn’t assert myself, and really explain where my thinking is coming from, people would have a really hard time with it. But it’s not an egotistical thing. Always ask for divine guidance when you need to assert yourself. Stop thinking that this is only reserved for a chosen few. Ask when you’re meditating in the morning, ask to come from a place of love and healing. It’s really about the inner dissolving of all the old ways. So get a real good grip on where your feelings are coming from, then say what you have to say, and do what you have to do. Stop relying on other people to get things done for you. And not everybody’s going to understand and accept every single thing that you do. When you let go of your judgment you’ll stop running into people who are judging you. A lot of people feel uncomfortable claiming their strength, claiming their knowing or their powers, but why would anybody want to hold back on owning their power, their strength, and their wisdom? Be strong. We’re so happy you joined us today. Come on over and hang out, there’s lots of fun things to do! Thank you, we love you! Welcome! 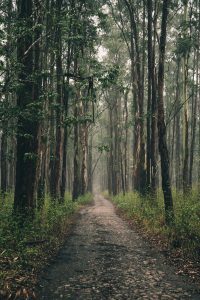 Today we are going to be talking about how you know you’re on your path or, if you know you’re not on your path, how to realign your ideas or actions to get there. We are in a one-year period for moving forward, beginning new things, a whole new idea of who you are. Really get a hold of your truest self right now; use everything that the planets the Universe are giving to us. These are things that nobody can take away from us. It’s our personal power. Right now, it’s time to make sure you’re on target, and there are so many signs. A lot of us aren’t aware of it, but everybody gets signs. It’s so important to take the time, when something happens, to see if it’s a sign. I’ll give you an example. Seventeen years ago, I was at my chiropractor’s office getting an adjustment, and there was a woman there who came in once a year to do jin shin jyutsu (named Deb Goger). I happened to be there so Laura asked me if I’d like to try it. Well, I try just about anything once, so I said “yes”… and I had a miraculous kind of healing happen. The jin shin jyutsu made me aware of a heavy fear that I was carrying around and, when I went out to my car that day, it was gone. It just so happened that the following week, there was a 5-day intensive training in jin shin jyutsu in Willow Grove. I knew that this was timed just right. I had been doing reiki for a long time, and I love reiki, but I knew there was something more than that. I took the training, which thrust me into 18 years of learning. Being aware of what’s happening around you is so important. What are you thinking, and then what happens that day? Don’t you see how quickly energy is moving? We have to catch up with it. We meet people in the supermarket who might just say something that inspires us at the right moment to give us inspiration, give us an idea, something we were thinking that morning. When I came in today, I pulled in at 11:11 and said I’ve been seeing a lot of 11’s lately and Giuseppe said, “So have I!” The three of us, in the same time period, saw the same thing and thought the same thing – the synchronicities. Everybody’s always like, “Oh what a coincidence!” This word, which means, “corresponding incidences,” was used by scientists to take away the energy of synchronicity, of two things happening at exactly the same time because they are supposed to. Synchronicities are actually one of the biggest signs we have, to let us know that we are aligned with what was planned. They are the Universe letting you know that you are on your path. My friend said to me today, he never realized how true it is that people come into your life for a reason. Some of them stay or some move on. The people and the situations that feel good and are easily flowing, clearly they are on your path. But if there is a lot of turmoil and stress and resistance connected to it, you know you’re not on your path. Then what do you do? Redirect what you’re doing. Be aware of how it happened, why it happened, take responsibility, and realign your desires. Check in to see what doesn’t feel right and hone in on that. See if there’s another way of going about things in a more effortless way. When you’re aligned, everything falls into place. It should flow, not keep bringing up obstacles. Sometimes, the obstacles are on the course and they are part of the learning. You have to realize and decide. Here’s the thing: When you become passionate about what you’re doing on your path, you feel it, others feel it, and you get to be an inspiration. I don’t think there’s any greater feeling than to know that you inspired somebody else. Shed all the naysayers, do what you want to do, and you’ll feel so wonderful doing it! This is the year for you to be able to accomplish all of these things. The energy is finally happening to change the universe. Focus on the positive things you want for yourself, what you want for your friends and family… and what you want for this planet, because we have that kind of power and we have the signs. We’re so happy you joined us today. People are really coming together for the greater good of everyone, being supportive, getting involved in things you’ve never been involved with before. Make your reality what you want it to be. Stay in that space. Live a life where you come from Love. Where you’re all about serving others. Let people know there is more out there than what they’ve been taught and believed until now. … Because this is the year when everyone’s dreams can happen! Do a meditation, close your eyes, and ask for divine guidance. I’m telling you stuff has been happening so, so quickly. You have an awareness of how the body really heals itself. You are given the emotional shift to allow the body to handle stress differently. You learn the nutrients your body needs to rebuild and peace of mind to enjoy life more. It makes sense to you and you understand why you are doing everything and the benefits. We work to release the thought input (emotional cause) that became also a causative factor. I hope that you will reach out when you are drawn to, when you are ready and I will be here to guide this journey until…Peace and Blessings, I look forward to meeting you. We have testimonials if you are interested in reading what others have experienced. Hello there friends! How can this summer get any more beautiful!? 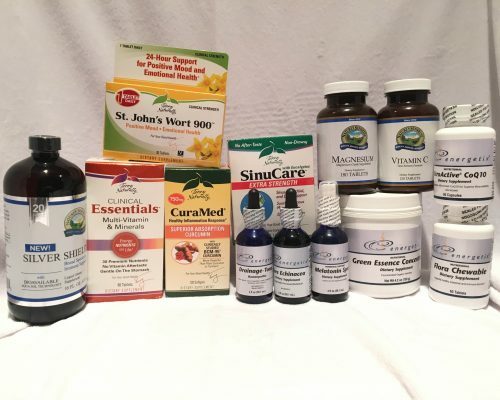 Have you or someone you know had inflammation or chronic pain? Maybe you recently have gotten injured, feeling pain in your body. You may think your only option is to take prescription medication to dull to pain. Many people still are not familiar with other alternative options, which got me thinking to write a blog on Curcumin. So what exactly is Curcumin? Well, first we need to specify that Curcumin in fact is not an herb itself, but rather is extracted from Turmeric. Turmeric is an Asian spice that gives curry its yellow color. Turmeric is related to ginger, as this rhizome is a classic ingredient in Indian cooking. What is pretty interesting is the fact that science and medical professionals have been investigating and testing Turmeric for years. In fact, it has been the subject of more than 60 clinical trials and the National Library of Medicine has nearly 200 scientific investigations of curcumin and turmeric in its archives. This actually makes Turmeric one of the most studied and verified biotanicals in all of modern history. And it still amazes me how this amazing spice is unknown! This research yields that both turmeric, as well as its compound of curcumin have many health benefits to the body. Specifically, researchers have found that turmeric and curcumin have antioxidant, anti-inflammatory, antiarthritic, antitumor, anti-ischemic,and antimutagenic properties. A typical Turmeric rhizome is about 2-5% curcumin, so taking an unstandardized, powdered turmeric root product means that you would need to take hundreds of capsules to get a clinically studied amount of curcumin. It has had a very long history being used for medicinal purposes by Ayurvedic doctors and Traditional Chinese Medicine. In India, Turmeric has been dried out and used as a spice for medicinal purposes as well as eaten in their everyday lives. Enhancing the ability of absorption into the blood stream is crucial, as the turmeric essential oil has resulted in the natural potency for treating diseases and pains. 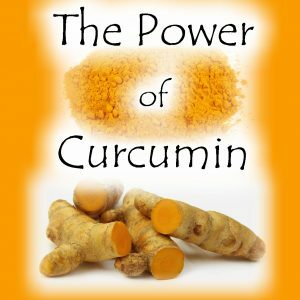 So what is Curcumin good for? It is an amazing product for inflammation. Almost all chronic diseases, some such as diabetes, arthritis, and even Alzheimer’s disease, all have destructive inflammation. Natural Curcumin significantly calms swelling and pain through its effects on multiple inflammation targets. Curcumin, as a potent antioxidant, is able to stabilize unbalanced reactive free radicals. What are free radicals you may ask? Well, free radicals are molecules with a missing electron that stabilize themselves by “stealing” electrons from neighboring molecules, creating another free radical in the process. These free radicals can negatively impact your body and wreck havoc on your internal systems. Curcumin is able to control this, making its anti-inflammatory and antioxidant potency extremely strong. In fact, its antioxidant value is over 1,000,000 per 100 g – which is many times higher than that of blueberries. Curcumin works with your body to strengthen your internal systems and therefore bringing your body back into its natural state of function. It is also said to help the function of the liver and gallbladder as it treats diseases within these systems. It stimulates the flow of bile, which attacks and eliminates gallstones. Curcumin takes care of the digestive system as well, giving problems like dyspersia the boot! The Chinese also believe that this spice helps aide in depression, clearing anxiety and seizures. In all areas, Turmeric and Curcumin are considered blood movers as they break up stagnation and relieves pain without side effects. If any of these things affect your daily life, go to our website or pop on in to purchase your Curcumin today! Curcumin: The all in one solution. (2016). Terry Talks Nutrition, 1-5. Turmeric and curcumin. (2015). Sunshine Sharing, 26(10), 1-4. Hey there friends! Have you ever heard someone say they do not feel grounded or told you that you weren’t grounded? You may have sat there scratching your head at this term wondering what exactly they meant by it. It is sometimes a difficult term to fully grasp, especially when you feel unearthed and foggy in your daily life. What exactly does it mean when someone says to ground yourself then? This is something that can be interpreted loosely but generally leaves us with a sense of understanding the knack of what it means to be grounded. A symbolic representation I always like to use is the metaphor of a tree. Imagine a beautiful tree being nourished from the inside of their foundation through the outside aspects everyone can physically encounter. This nourishment perhaps comes from the rain, giving it a supplement to grow. Imagine the sun, giving the tree proper energy to help the natural development. This highly nourished tree will be firmly rooted in its existence and know this state as their innate reality. This tree will not wilt or bloom because of another tree. It will live within its own strongly planted center of being. Just as the tree is grounded, human individuals stay grounded in the same ways. When you are not grounded, you feel a sense that your body and spirit are disconnected. This disconnect affects your mental clarity and emotional well-being, skewing your perception of reality. 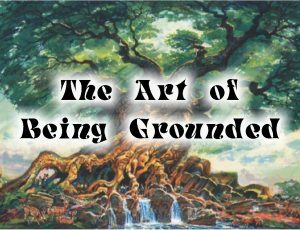 Many people are not grounded unfortunately because I believe they take on other people’s perceptions and realities as their own. Your anchor to the earth below and above has lost its alignment. You may be feeling very unstable during this time, or just feeling “off”. Some people also experience anxiety, as I believe, that this is a sign that the information from above is not received properly. Therefore, you are left feeling down and out, not quite living in your central truths. In fact, you may not even realize what your truths are in this moment. When you are grounded, you feel a sense of peace connected to your inner being. When your inner force matches your outer actions, you are grounded. There should always be a balance between our spiritual, ethereal realm and being rooted in our earthly, physical form. When there is an imbalance within our being, you cannot remain grounded. We must leave our mind open to be able to process our own reality into a positive perception of knowledge we have received. The people, places, and events around us are all part of our journey. Although, at times it is difficult to decipher how much power you are giving others to shape your sense of self in your journey. This is when we need to reground ourselves and take a look at our reality from a higher perspective. So how can we ground ourselves? The good news is there are many ways in which we can do this! One simple way I love to re-ground myself is through visualization. Visualization is an essential tool within spiritual practices as you literally visualize what you want to manifest into your physical life through our minds! As the saying goes, “what we think, we become”. I always envision either a white light or any other color I am feeling at the moment, spiraling down from the heavens, coming through the top of my head and growing straight into the core of the earth. This anchors me into a centered space full of peace and self awareness, aligning everything that is out of place and no longer serving me. What is important to know is that clearing and centering your Root Chakra is very important when you want to be grounded. The Root is the first chakra, tapping into the most physical aspects of the other six. The Root Chakra is about manifesting your desires and thoughts into the physical world, placing your roots firmly on earth, and awareness of your physical body. 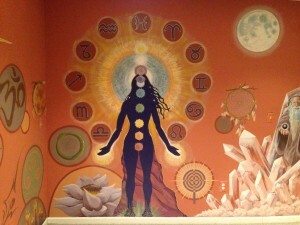 You want to stimulate the Root Chakra to open and be able to live fearlessly in this physical state. What you can do is a small meditation to strengthen your connection to mother earth. I personally like to light a red candle specifically intended for the Root Chakra. I then like to imagine a small red light glowing from my first chakra. Imagine this light growing larger and larger, swirling clockwise to open and enhance the natural flow of this area. Then imagine this ball of light moving into your thighs, knees and ankles. Traveling downward until you see the red light shoot out of your feet and take root all the way down into the core of the earth. Then reach up to the sky and stretch as tall as you can, imagining these long roots glowing and being planted deeply into the soil. This creates a nurturing foundation that no one can uproot. Another way to re-ground yourself is to use crystals! I myself love this method as I keep many of my crystals on me at all times. And when I say many….I mean a whole bag full! At any point I am feeling I may float away, becoming imbalanced, I reach for as many crystals as I feel necessary. You can just hold these crystals in your hand and visualize the energy uplifting any areas that have low vibrations. Something else I find that I really love, is laying on the floor and placing crystals on each corresponding chakra. Even just putting crystals around you and just asking the universe to re-ground you with their energy will do the trick! There are many specific crystals you can use to re-ground yourself, but some of my favorites include: Moss Agate, Apache Tears, Black Obsidian, Chrysanthemum stone, Healer’s Gold, Hematite, Copper, Ruby, Smokey Quartz, Black Tourmaline, and Celestial Quartz. Don’t have crystals? You can also use essential oils! The most awesome thing about essential oils is it can have multiple uses and purposes. Not only will it help re-ground you and raise your vibration, it will also smell AMAZING! Don’t be surprised if someone you walk past stops you to ask what that beautiful smell is! Certain essential oils have a higher vibration, but no matter which ones you choose – it will help you to re-center yourself. 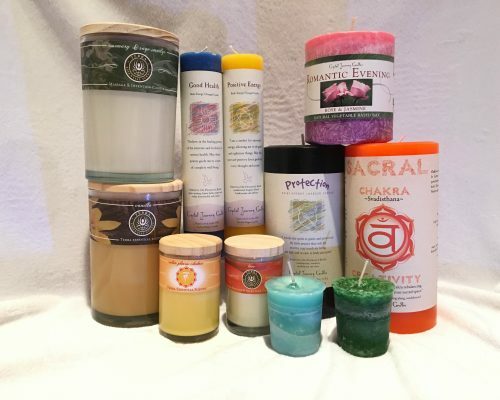 Some of my favorite selections that I feel best help to re-ground yourself include: Sandalwood, Cypress, Patchouli, Rosewood, Benzoin, Cedar, Myrrh, Frankincense, and Vetiver. You can use a single scent, or make a blend yourself – as long as you remember to mix it with a carrier oil so you may apply to your skin! Remember – BE THE TREE! Stand tall in your beliefs and firmly plant your roots! Hello there friends! Here at Holistic Apothecary, we absolutely love assisting and using our gift of Reiki! You might be wondering what Reiki is exactly? Well, the short of it basically is that Reiki is a healing service known as the laying of the hands. It is to stimulate, heal, and transform your life force through the use of energy in this physical world. It can be used to heal, strengthen or mend the physical, mental, emotional and spiritual bodies. A Reiki practitioner is a person, I believe, who is divinely inspired to help others understand and open up their spiritual dimension to a higher level of consciousness. Coming to Earth can be a difficult task with all the lessons we agreed to learn here. Sometimes, things don’t make complete sense and you may be scratching your head at why certain things occur. It is not for us to know unfortunately, but we can start to understand and ease our senses through different practices. So you may be asking –how do I know if I want to receive Reiki or take on this lifestyle? This is a good question to ask yourself on your unique and wonderful journey in life. There is no answer one fits all, but I will tell you some signs and feelings that can indicate this is something you should think about. Truly, if you are feeling that there is something “missing” in your heart or soul, and want to fill it with some positive energy – this is something to think about! One day you may wake up and realize that you are in a funk or your energy is lacking considerably and you want to enrich your spirit on this physical plane. I would definitely recommend Reiki! Maybe you want to feel connected to something or want to rid yourself of negative behavior and lifestyle choices. Maybe you just want a healing and a weight lifted off your shoulders! This all leads to Reiki in my opinion! Who can you go see for Reiki? Well you are in luck my friend! There are so many resources out there to find some great Reiki practitioners! 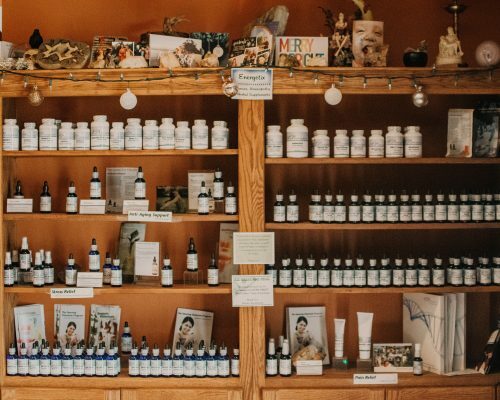 If you love to come to Holistic Apothecary, then look no further! Our whole staff is Reiki certified and truly cares about the well-being of their clients. We have worked on countless individuals and we love what we do! 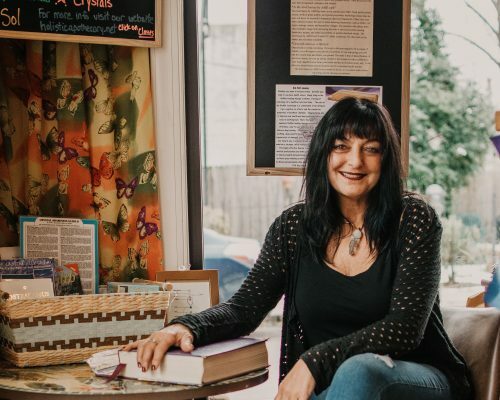 Dr. Phyllis Bucci, the owner of Holistic Apothecary, is an amazing healer for over 20 years as she fuses her Reiki Master techniques with other energy healing modalities. She has handpicked her employees, divinely guided to who she has felt would be a perfect fit for her mission and vibe of her store. Giuseppe Stabile, a Reiki Master, has been practicing Reiki for 7 years! I, myself, have been practicing Reiki for 7 years and have my level II attunement. 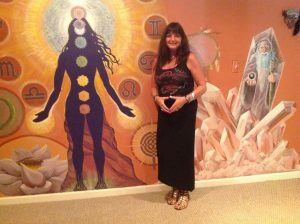 Gina Picard, who recently became a member of our Reiki community, has learned so quickly and really has the gift of healing! Every single one of our staff members is able to fuse other energy healing modalities as we have expanded our consciousness to give the best experience we can give. What if you have a deeper craving for Reiki and want to take it a step further? Learning Reiki intrigued me and I felt a calling to start this journey. Being open to the universe and listening to its guidance has transformed my life. When you allow the information from the Divine guidance to flow through you, you learn more with every sequence that is given to you. This is not as simple as a reading a book telling you what to do, but if you listen and look closely enough, you will be delivered signs that just point you in the exact direction you need! With that being said, Reiki was just placed in my lap ever so evidently and I knew this was something I wanted to do to heal people. Whether it be people’s physical ailments, past life experiences carried into the present, or even mending a heart or two; healing all areas of that person is essential. If you wish to spread the light into other’s lives and truly believe in it, miraculous things start happening! The key is to fully believe! Click here for more information or to sign up for a class. 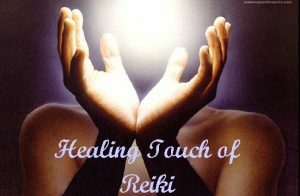 To make an appointment for a Reiki session call 215-367-5380 today! As we come to the conclusion of this blog post – I send each and every single one of you light – to experience the divine feeling of happiness and joy through Reiki. Hello friends! Many folks come into our store and ask about smudging. The first thing to know is that there are many different types of smudging tools that you can use! 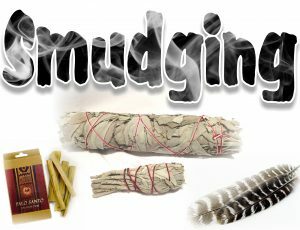 You can always go to our video to check out the multiple options we have in store to use for smudging. The most important element when we smudge is the intention that goes into the process. The intention will raise the vibrations in the energy you are creating within your physical, as well as emotional and spiritual space. This will ultimately predetermine the use of the smudging material to clear the environment. This could include, but is not limited to, clearing negativity and uplifting the positive vibrations in your home, work, or outside space you dwell in. You can always call upon your spirit guides, angels, or any spiritual crew you have! They are always listening to your call, and are ready to assist you in any manner you are inquiring about. 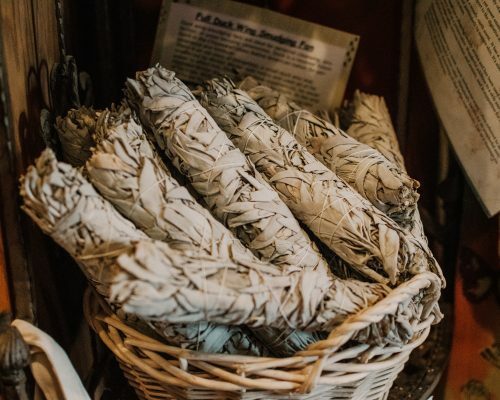 So now you may ask, “How do I start the smudging process?” After you have a clear intention in mind, all you need to do is use your tool, with proper instruction, to begin clearing your space. For instance, if you are using sage, any kind of sage you prefer, you will begin by lighting one end of it. When you see that the sage is burning brightly, blow out the fire and let the smoke pour from its embers. 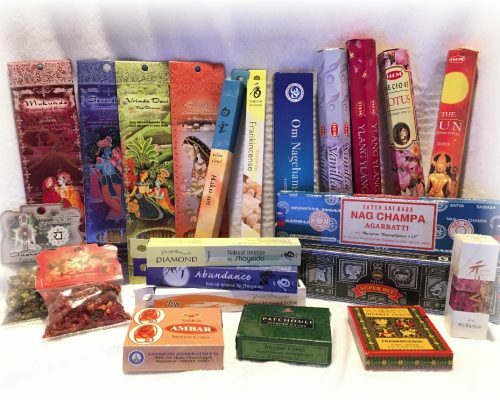 In our store, we think of our sage as the holy Mecca of smells! Can you say AMAZING!! Just be careful that you aren’t fully basking in that sage delight and do not realize how much smoke is ascending! Sage can get quite smokey if you aren’t careful! We have set off a fire alarm…or two…or five…by smudging our store. At this point, you want to start at the doorway and smudge clockwise around the entire door. As you are smudging, you will want to begin repeating your intention that you have previously thought over. You want to continue smudging in a clockwise formation in every room you do, as we want to stay with the universal polarity and energy that flows in this formation. This will assist the process and clearing of your space in divine alliance with spirit. Feel free to also use your smudging tool to clear your own aura! It is an amazing feeling to smudge yourself or have someone you trust smudge you! 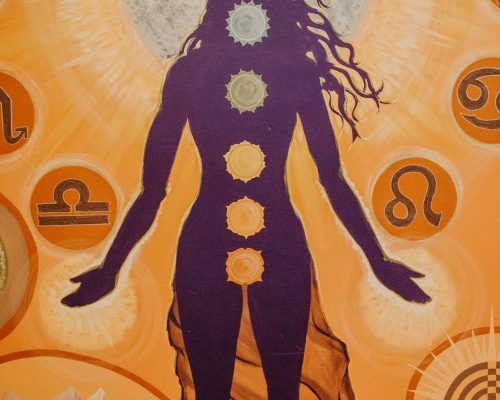 In the same way that you smudge your doorway and rooms, you want to smudge your physical body in a clockwise formation and comb out your aura of any negative or unwanted debris from your daily life. After you are done, you should feel a huge weight lifted, as the space, as well as yourself, will feel lighter, brighter and more positive. You can now enjoy the fruits of your labor and let that sun shine down upon you even on a cloudy day! Hi Friends! We meet again! If you have never been to our shop, we carry a large variety of different crystals. These stones have an amazing quality about them, a truly mystical force just waiting to connect with all of us! So you may be wondering…what’s all the hype about crystals?! Crystals hold a powerful vibration within them, spreading their frequencies for each and every one of us to experience. Your aura is a sacred spectrum of all that your soul encapsulates through your physical body. Crystals enhance and metaphysically protect our auras – raising our energetic field to its highest euphoric potential! 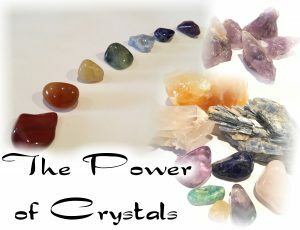 Each crystal has its own energy that creates properties and characteristics unique to that stone. Everything on this earth has energy, and crystals are no different. Crystal use in healing dates back to some 60,000 years ago, and have been intrinsically linked to humankind since then! They have been depicted in many cultures as a healing mechanism for our society. It is known that we, as humans, all have crystalline energies within us. 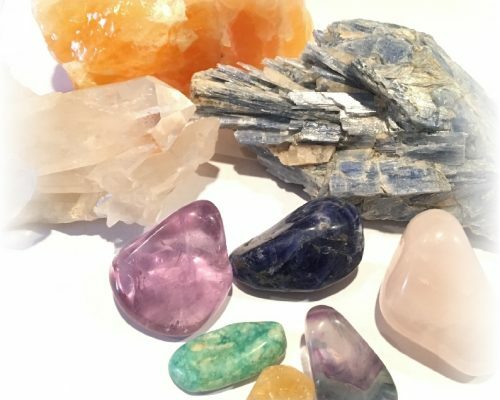 The crystals that we may feel “drawn” to either represent something that is missing from our energetic chemistry or something that strongly exists within us already. Our energies become balanced and enhanced with these precious gemstones. These crystals amplify our intentions and manifest the energy we are portraying out to the world. When you hold a crystal in your hand, you will be able to feel the energetic pulse and experience a sensational reaction. So what can you do with your crystals? Once you feel you have connected energetically with one – or dozens – you may be asking, how can I use them in my daily routine? There is no overly embellished procedure that you need to prepare when using your crystals. Just carrying your crystals around will give you those good vibes you are searching for! All of us at Holistic Apothecary carry our crystals around and use them for specific situations! For example, jade and malachite are excellent stones for those who travel. Whenever I am going to venture off somewhere, I make sure to bring my malachite and jade with me! Those energies will affect you in a positive way each and every day. When specifically using your crystals, you definitely want to program them. What does this mean? You do not have to crack a secret code and go all Adventures of the Lost Ark. Pretty plain and simple, you want to hold the crystal(s) in your hand and state an intention for them. This is what we mean by the term programming. The intention, generally with anything in life, is the most important factor for programming your crystals. This will tell the crystals what you are intending to use their energy for and what characteristics you are specifically calling upon. Some ways to use your crystals can entail meditation, grids, Feng Shui, Reiki and generally just clearing and enhancing the energies for healing. If you are going to meditate with your crystals, you can either sit on the floor, or any area you find suiting, and place the crystals around you so the energies amplify your session. You can also lie down, in a safe area of course, and place the crystals on your body. I personally like to place the crystals on the different chakras that correspond with that crystal. Some crystals can be applied to several chakras as they represent vibrational connections to many, if not all of the energy centers. We hope you can feel the energy and explore the dazzling world of crystals today and everyday!